For mashing food and fruits there are various ways exist. But food mill is the most usable and efficient way where extracting from seeds and skin are also possible. Other ways to process the food we may use the blender, mortar, and pestle which are not able to extract seeds and skins from your food, fruit or vegetable as like your wanted shape. In order to the cooking procedure, cooks can get the freedom to use different tools. 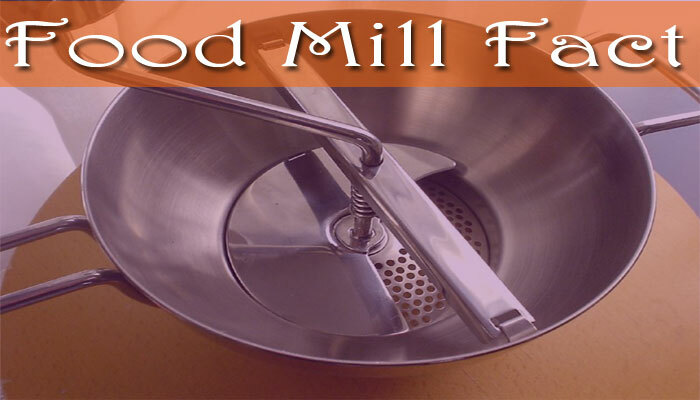 In this article, we are going to ensure your Knowledge about food mill. We loved to present to you all the use of a food mill and difference of it with a food blender. 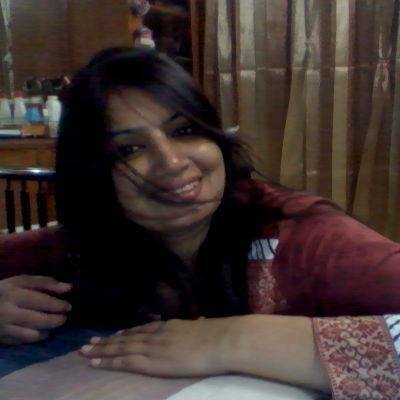 Hope it will delight your desire knowledge. Blade: The most important part of the food mill is a blade. It has a medium weighted blade which is used to cut fruit to the smallest part. There is a sieve under the very close are of the blade. The blade is designed in such a model where the cut piece of foods has squeezed with sieve easily. And the juice of come out. On a different type of food mill, has shade on the blade. The shade is used to keep clean inside. Handle: Basically food mills are the analog device. To operate the device it has to move its blade by human force. This is why there is a handle what is directly joint with the blade. Long handle creates more friction. That’s why long handle of food mills can make itself more usable. And of course, handles keep safe our hand from the inner blade. Sieve: After grinding the foods on the mill, it has to pass the sieve. It is working to extract juice from the seeds and skins of foods. The density of sieves is made with such of design where seeds are not able to pass away the sieve. Chalice: This thing is a state under the knife and sieve. After grinding all the foods, desire juice is going to be stored on the chalice. Of course, this is the lower but the most desirable part of this device. Mashed potatoes: to those people who are love potato cake, chips or other potato item are potato mashing is a very common thing. To mash those on food mill you have to boil potato first. After the proper boil, you can uncover the potato skin. Else you can put it on food mill without uncovering the skin. Sieve of the mill will unconnected the skin from the potato. No need to take extra pain by removing skin or mashing. If you want to make potato cake by potato, onion, and another item, then you need no other device to process all item. You can be mixing and knead all another item on it. On this sense, Few people use this device to knead rice powder to make leaven for making roti. Sauce: People who don’t love sauce? A cup of sauce can make fries or spicy snacks to the next level. All type of people especially kids must love to have this on their breakfast table. Tomato, Pepper and other food need to extract its juice. The food mill is suppressing on it and sieves are separate seeds. To make all types of sauce and ketchup food mill can be your helping hand. Jam and jelly: On breakfast table jam or jelly is one of the most expected things. In a busy life bread and jam can be the perfect breakfast combination. Jam or jelly are made from the juice of fruits. To prepare those we commonly use orange, mango, pineapple, and apple. Those fruits have huge fiber inside with juice. The food mill is used to make separate the pure juice of the fruit. Then the fruit juice is going under a process to be jam. Smoothies: Green or chocolate smoothies are famous drinks. Because of its hygienic and healthy food value, doctor and gym constructor are behest to have smoothies. At the same time, it is cheaper as well as. The Green smoothies are also able to prepare by using a food mill. Moreover, the food mill is performed better than the blender. Blender is not able to extract seeds what can be an irritating deal while drinking. To mashing and extracting food on 100% the hygienic way we support food mill. Blenders are the electric device which is operated by the motor. On the country, food mills are non-electric device. There is no doubt that many years ago when there blender was not too popular, people were used to a food mill to their regular life. Blenders blend all the food. Even seeds, skin and other unexpected things are also blending on it. But the food mill has a sieving system. This is the reason they are able to extract all unexpected things from your food juice. To consume time and energy, there are no doubt, blender is the easiest solution. Mills are working slowly and it is a matter of energy to extract juice from the food. Although both of are the hygienic way to process. In order to expense, mills what are used to process food are reasonable. They are cheaper than the blender. But you should pay charge electric bill purpose if you have a blender. Maintenance of electric blender is pretty complicated. But there is no critical deal to maintain and taking care of the food mill. Only cleaning its component is all to maintain and taking care. Food processing goal is going to achieve more perfection day by day. The difference of Taste of two close recipes is Depends on a variety of cutting, mixing and grinding. That’s why the demand of food mill is increasing each day. Even different specialized food mills are also available in the market now, which are used as a specific item. Meanwhile, people are also getting a concern about food sense. End of the things, it has no suspicion that it is an important non-electric device for your kitchen.